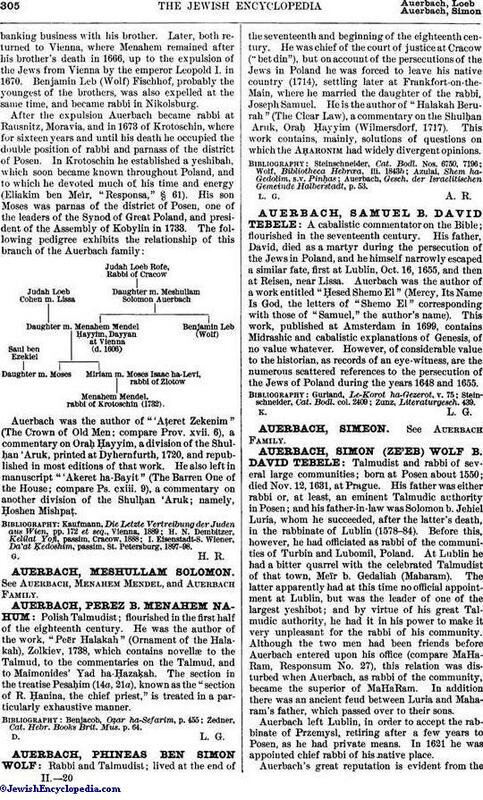 Polish Talmudist; flourished in the first half of the eighteenth century. He was the author of the work, "Peër Halakah" (Ornament of the Halakah), Zolkiev, 1738, which contains novellæ to the Talmud, to the commentaries on the Talmud, and to Maimonides' Yad ha-Ḥazaḳah. The section in the treatise Pesaḥim (14a, 21a), known as the "section of R. Ḥanina, the chief priest," is treated in a particularly exhaustive manner. Zedner, Cat. Hebr. Books Brit. Mus. p. 64.